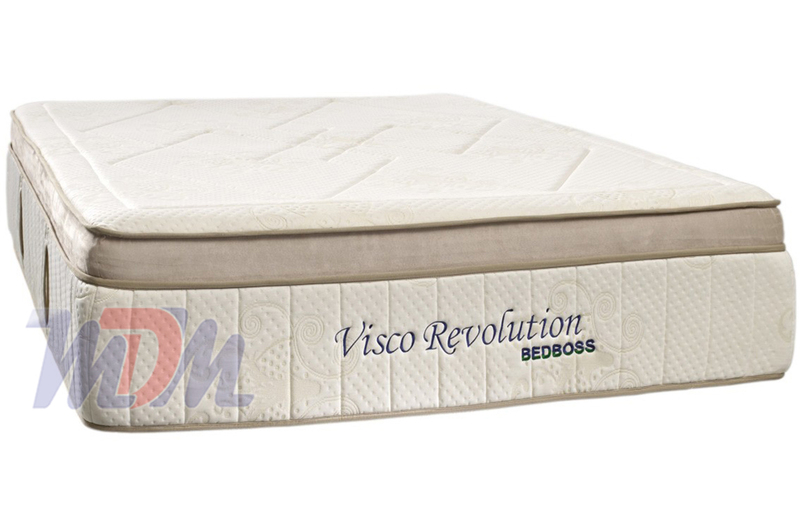 The Revolution is the thickest mattress made by The Bed Boss and offers you some of the greatest features ever seen on a memory foam mattress, at a reasonable price. More plush in feel than you would expect from a memory foam mattress, the Revolution Boxtop gives you all of the support you'd expect but with a softer, more cushioney surface. Gel-Infused, Cooling Memory Foam, Rebound Memory Foam and a heat-dissipating bamboo cover are stand-out features of this premium model. If you've read enough of my opinions, you know that my old bones prefer a slab-like, firm mattress. I was a bit reluctant to try such a plush mattress - even if it was memory foam. I must say that I was pleasantly surprised with how well the Revolution Boxtop hugged to my body after about thirty seconds of lying on it. I was surprised enough, in fact, to spend an extended amount of time on this Bed Boss model. What I found was interesting, to say the least. The combination of heat dissipating gel-infused memory foam and bamboo definitely did keep the mattress from transferring my body heat and I felt a very high level of support with this model, despite its softness. The Rebound Foam may have something to do with the absence of the "stuck feeling" that I thought I would feel when I was ready to get up off of the bed. I could truly feel the quality of layers at work with this model and I must say that this is one of the best memory foam mattress models that I've tried to date. The Revolution is definitely a welcomed addition to our lineup! 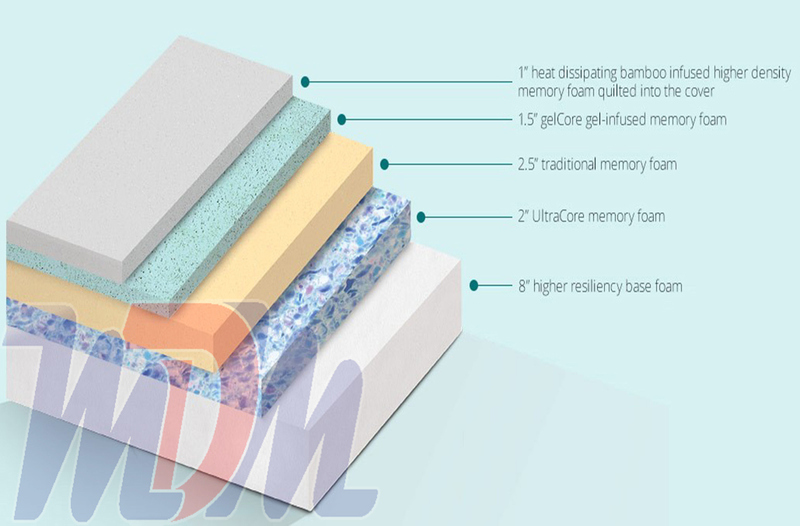 It has everything you could want in a memory foam/cool gel foam mattress - and then some! 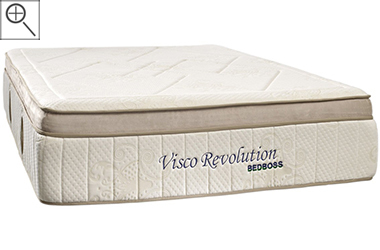 Medium-Firm Memory Foam Bed Boss Heir Euro Top.